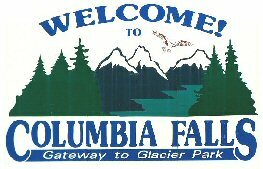 Visit the Columbia Falls Chamber of Commerce website for a full range of information regarding Columbia Falls. Visit the official website of the City of Columbia Falls. Located in Columbia Falls, The Hungry Horse News is Montana's largest weekly newspaper with a circulation of 7,200. Published every Thursday, we cover the community of Columbia Falls (population 4,500), all of Glacier National Park and the Flathead Valley. The name dates back to 1900 when two freight horses were lost in the woods. When found a month later in belly-deep snow, they were skin and bones - and very, very hungry. Today, Hungry Horse is the name of a creek, lake, mountain, town and hydroelectric dam. Mel Ruder founded the paper of August 8, 1946, in Columbia Falls. 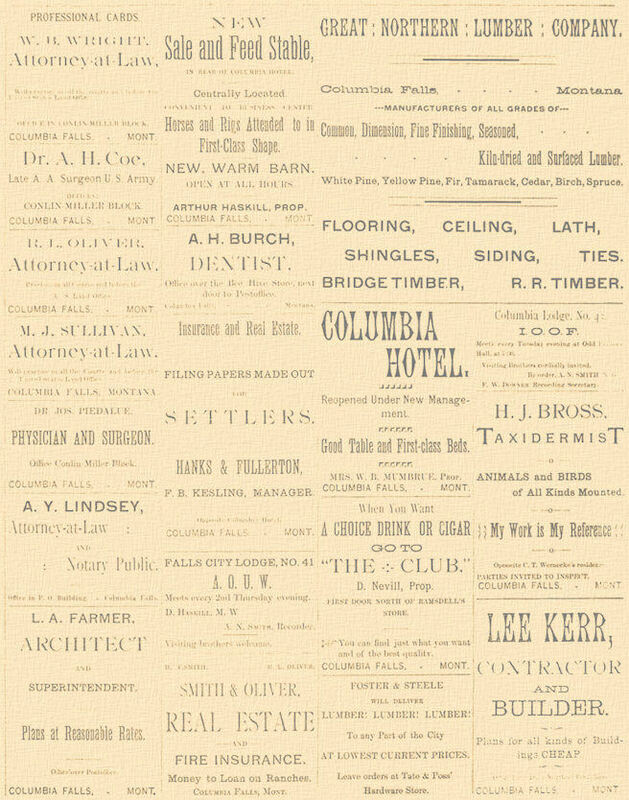 It remains one of the few newspapers in America published in a log building. The Flathead Beacon is another valley publication covering community news. Located less than one-half hour away from West Glacier, Columbia Falls is the gateway to Glacier National Park. Visit the Glacier National Park website for the latest information about the best national park in the country. The Museum at Central School is part of the Northwest Montana Historical Society. Located in the first permanent school building in Kalispell at 124 Second Ave. East, Kalispell, MT 59901. Phone: 406-756-8381. Take a step back in time and enjoy the variety of historic displays offered here. For more information on other attractions and points of interest in the Flathead Valley, visit the Flathead County Visitors Bureau website.